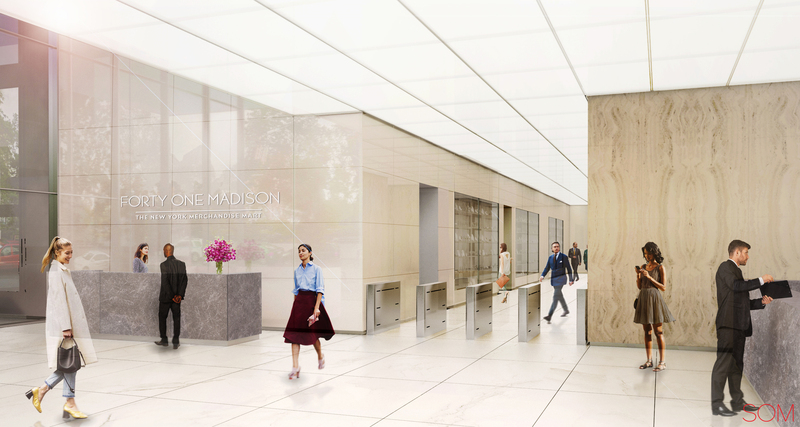 Rendering of new entrance to 41 Madison Avenue. Credit: Rudin/SOM. 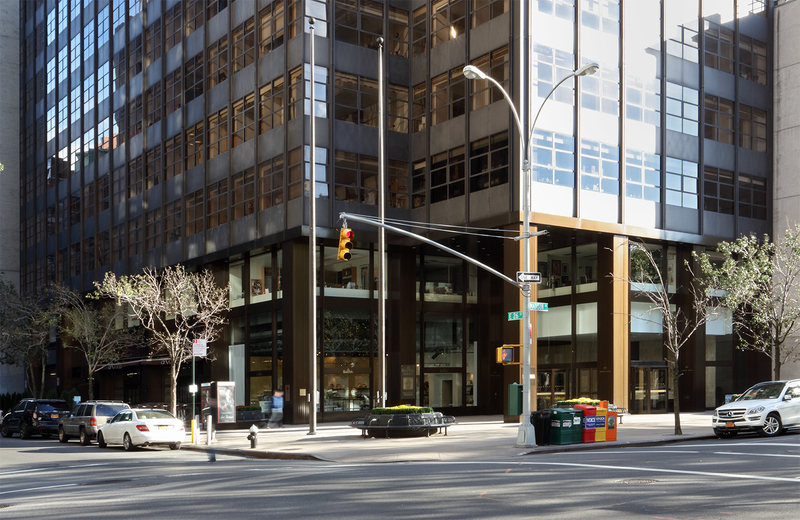 A 500,000-square-foot office building in the Flatiron District is getting some upgrades. 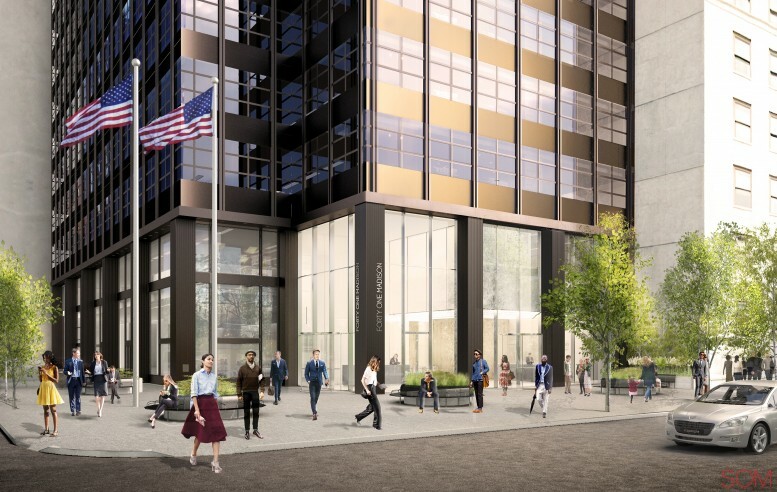 41 Madison Avenue, located between East 25th and 26th streets, was built by Samuel Rudin in 1972 and now the Rudin Management Company is renovating its public spaces, and YIMBY has the first renderings. 41 Madison Avenue (the dark one). Via Rudin Management. 41 Madison Avenue, existing conditions. Via Rudin Management. 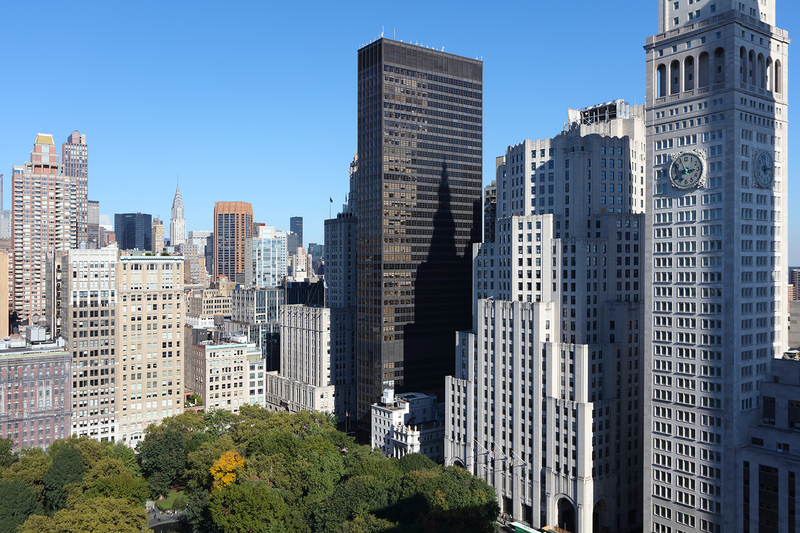 The 42-story, 546-foot-tall building was designed by Emery Roth & Sons. Now, Skidmore, Owings & Merrill, another legendary firm, has been tasked with bringing the building into the 21st century. In fact, construction has already begun. 41 Madison Avenue elevator bank, existing condition. Via Rudin Management. 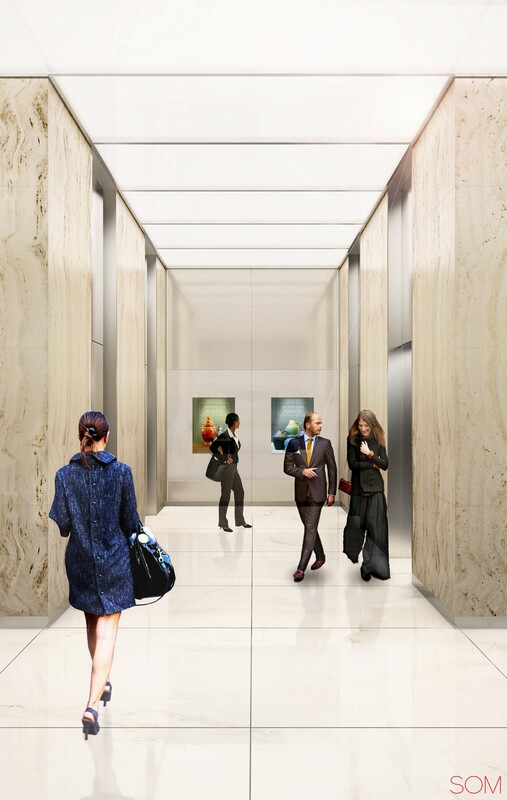 Rendering of new elevator corridor at 41 Madison Avenue. Credit: Rudin/SOM. The lobby will be transformed into a glassy, brighter, double-height space. 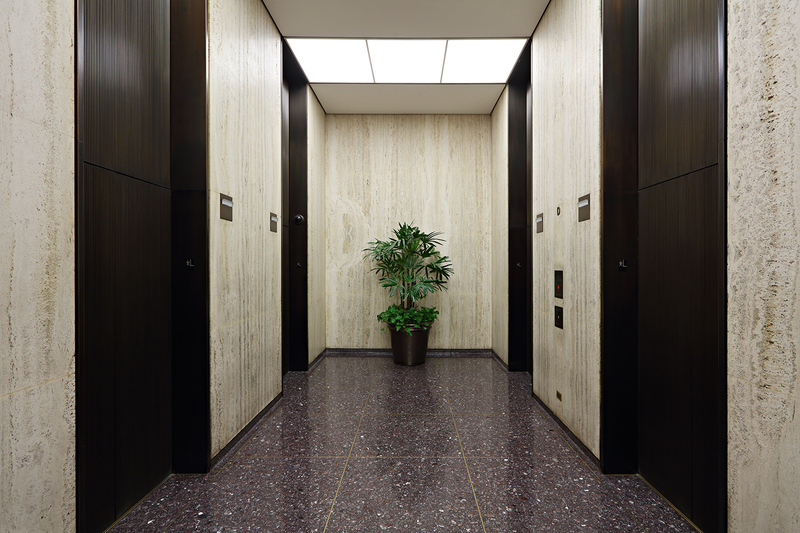 There will be white marble flooring, pearlescent glass wall panels, and a luminous ceiling lit by energy-efficient LEDs, meant to complement the original book-matched Travertine wall panels that will remain on the elevator cores. There will also be a new reception area and redesigned elevator cabs. 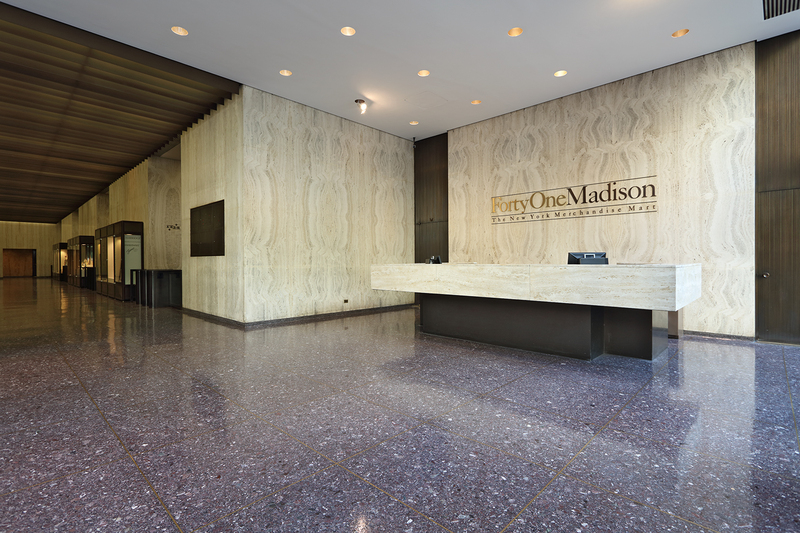 41 Madison Avenue, existing lobby. Via Rudin. 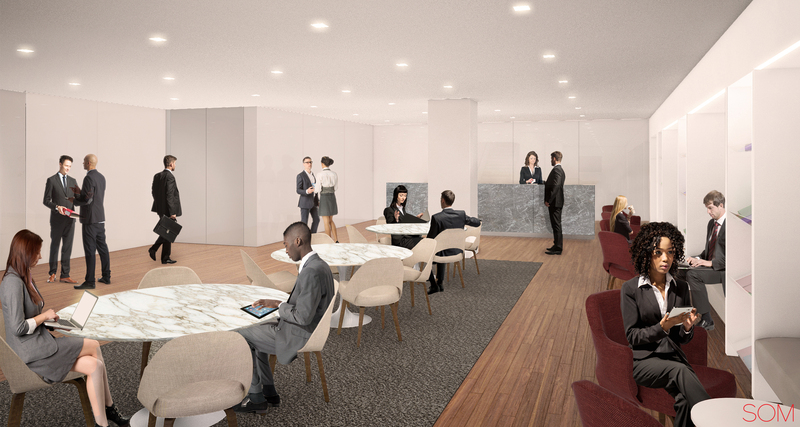 Rendering of new lobby at 41 Madison Avenue. Credit: Rudin/SOM. 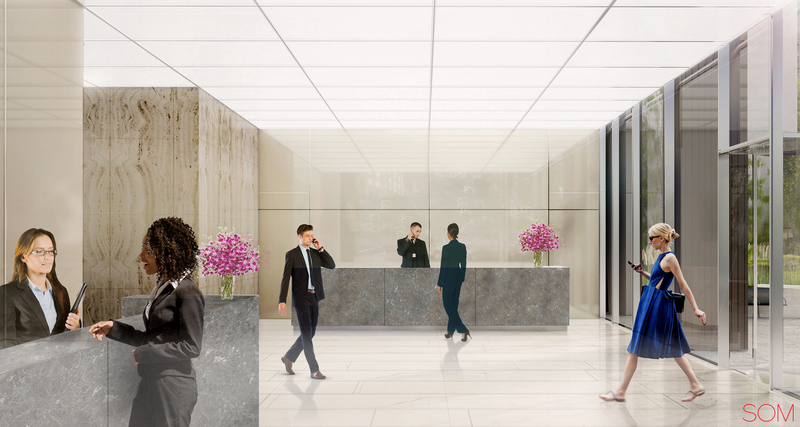 Rendering of lobby hallway at 41 Madison Avenue. Credit: Rudin/SOM. 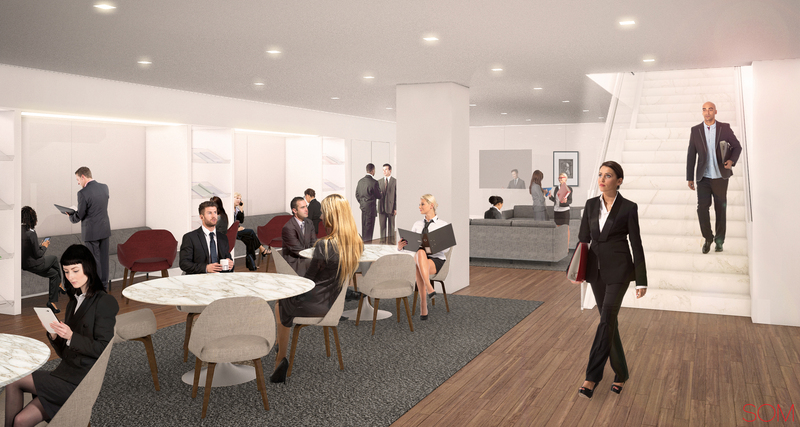 Rendering of buyers lounge at 41 Madison Avenue. Credit: SOM/Rudin. Construction should be done in early 2017, a Rudin represenative told YIMBY.